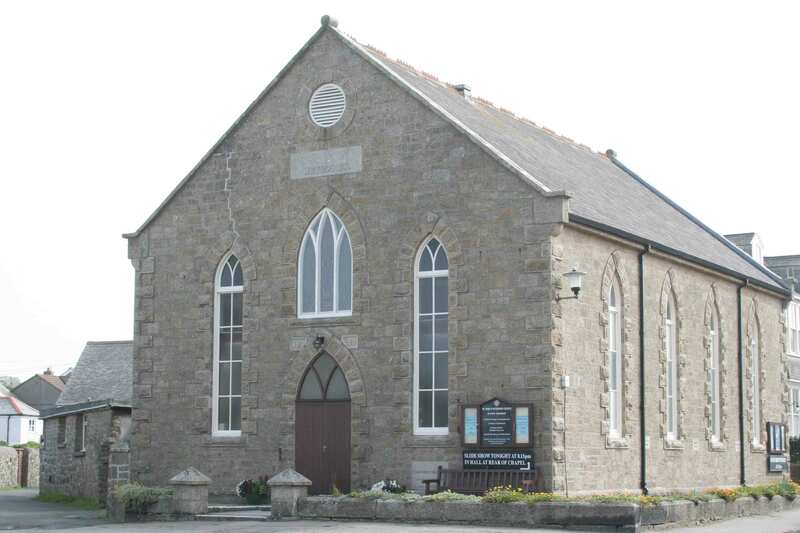 Len Michell has compiled an excellent history of the St. Mary's Methodist Church for the centenary in 2000. I'm sure it is still available and well worth a read. I will try and give some highlights. Methodism has been an integral part of island life since the arrival here of John Wesley in 1743. Both Wesleyan Methodists and the Bible Christians were active on St. Mary's in the late 18th and early 19th centuries. At one time there were Wesleyan Chapels in Old Town, Holy Vale and Hugh Town (currently restored as the Council Chamber). Bible Christian chapels existed in Hugh Town and on St. Agnes plus St. Martin's. The present building was constructed by the Bible Christians in 1900. After much heartache and soul searching, the remaining St. Mary's chapels were merged in the 1930s and the decision was taken to use the newer, current building. 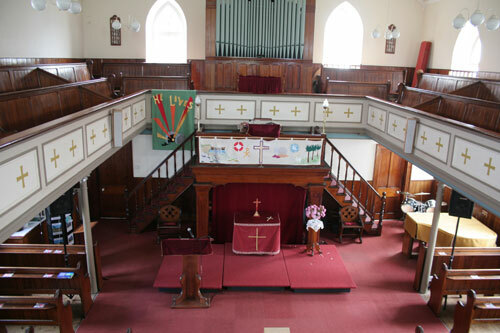 The rostrum and communion rail were moved from the Garrison Lane Wesleyan chapel and installed in the Church Street chapel. Another innovation at that time was the arrival of mains electricity in 1932. In 1963 a manse was completed so that our circuit minister had his own home (previously he lodged or rented accommodation from an island family). The church and manse are now maintained in an orderly fashion by setting aside maintenance allocations. Our worship now includes the a contemporary style service each Sunday morning as well as traditional services. The path to the present position has had some wonderful times but it also has been somewhat uneven, but Jesus did not promise His followers an easy time. We look forward with the confidence that we follow Him who knows the future.